‘Lying on the floor one morning, I watch as my legs begin to tremble. Then my tummy wobbles like a half-set jelly. A few minutes in, and my body is positively shuddering, even though I am doing nothing to make this happen. It’s as though my limbs have developed a mind of their own. Welcome to the eyebrow-raising world of Tension and Trauma Releasing Exercises (TRE) — a way to literally shake off your worries that’s set to be one of the biggest wellness trends of 2019. According to fans of TRE, the body stores memories of trauma — bereavement, financial worries, a stressful job or even just a bad experience at the dentist. Simple Shaking Exercise No 1 Stand on One Leg – Shaking is Normal! Stand with feet hip-width apart. Try and stay perfectly still. Now bring your feet together. You will notice you are wobbling. Now, put one foot on top of the other. You will feel natural shaking in your body. The vibrations are led by your nervous system to optimise your muscle tension and help you stand up. Simple Shaking Exercise No 2 Squat on Toes – Shaking is Normal! Do a simple squat for a few seconds. Repeat so your thigh muscles get tired. For the third time, if you feel safe, go up on to your tiptoes, then squat down. You will almost certainly start shaking. Hold. Repeat again. Simple Shaking Exercise No 3 Butterfly – Shaking is Normal! 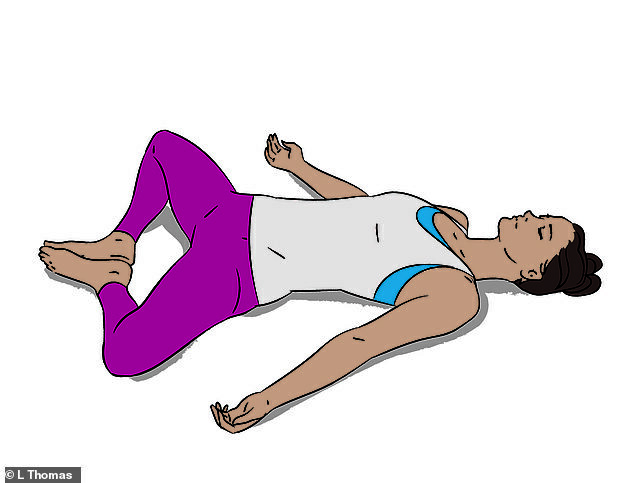 Start in a butterfly position: on your back with your knees wide and the soles of your feet together. Slowly bring your knees together. Your knees and pelvis will shake. This exercise is best performed at the end fo the classic TRE sequence of seven exercises. The full TRE sequence has been road tested on over a million people. A mix or tiredness, stretching and grounding helps generate safe, natural, body tremors.